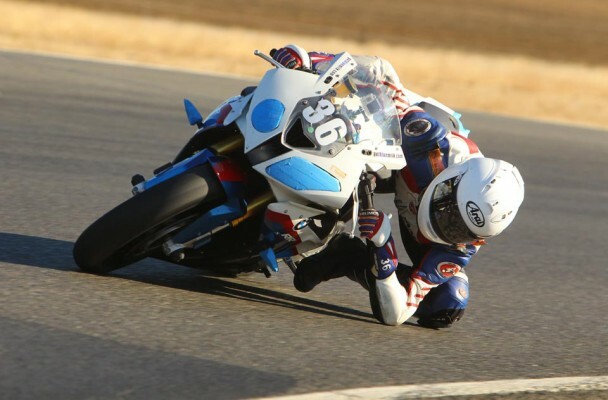 14 year old Jayson Uribe of California is off to the United Kingdom to spend 2014 racing his second BSB series this year as part of the Fireplace Warehouse Racing Team. 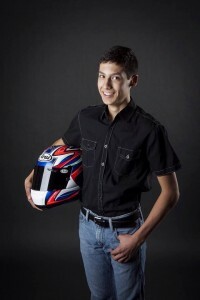 Jayson will pilot a 2012 Honda NSF 250R Moto 3 machine owned and operated by Adrian Mason and with four other teammates, will be part of the largest Monster Energy Motostar teams in the paddock. 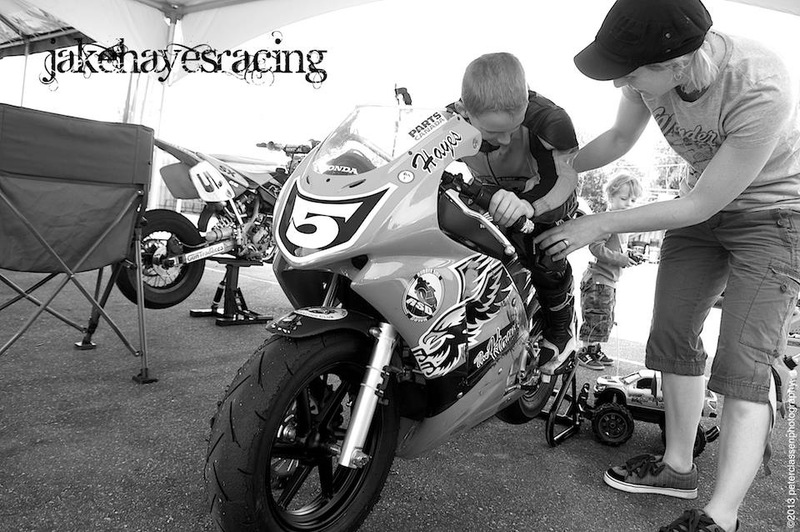 Q: Jayson, you started riding at the age of 4. What did you like about it and how did you move from a CRF 50 into roadracing? A: I did start riding motorcycles when I was 4. My first bike was a Honda 50, then I rode a 70 for a few months. My next bike was a Kawasaki KX65, and the rest were Hondas, an 85, a 150r and then a 250r. When I was 7 I started Supermoto on my KX65 and really had a great time doing that! I think that is what eventually led me into roadracing at the age on 9 on my 2004 Honda RS125. Q: What do you love about roadracing? How would you describe this passion to someone who doesn’t know much about motorcycle racing? A: What I love the most about roadracing is the speed! Going fast makes me happy. I know that it is dangerous, most sports are. We do what we can to make it as safe as possible like wearing the best gear, and making sure that I take care of my body, like sleeping enough and eating right. It is hard to describe the joy that I get by riding to someone who has never done it before. I guess it is like riding down a very long hill on your favorite bicycle and never having to pedal, with all of your friends! Q: You’ve had some pretty cool opportunities to ride around the world, what has been your most memorable riding experience? A: My most memorable riding experience so far has been jumping my Honda RS 125 at Cadwell Park over the famed “Mountain”. So many of my Supermoto skills are put to the test at that track. A lot of riders do not like that track because it’s narrow and there are areas where the track falls away, but there are amazing up hill mountain climbs that shoot you over the top of the peak. It is pretty amazing. 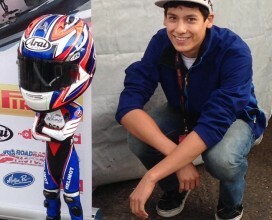 Q: What was it like to try out for the Red Bull Rookies cup in 2012 and 2013? What have you learned and taken away from your experience? A: It was an honor to be selected to try out for the Rookies Cup in Spain in 2012 and 2013. I was lucky because it was held at Monteblanco in Spain both times. Because it was held at the same track I was able to tell where I was faster and slower than the previous year. It was a good experience and I encourage all young racers to apply. Q: What has been your most impressive racing accomplishment so far? A: My best qualifying finish in the British Superbike Championship was 5th at Silverstone. 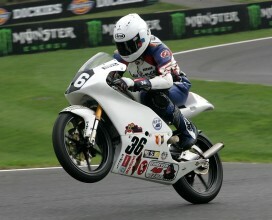 My best race finish was 7th in a downpour at Brands Hatch during the final round! Both of my best finishes happened when it was raining so I guess I perform better in wet, rainy conditions. Q: Racing, travelling, and training can be challenging. What keeps you going? A: It is hard to travel back and forth between the United States and the UK, that is part of the reason why my Mom and I stay in Nottingham for the full season rather than travel back and forth. The jet lag and the drain on the budget is really tough. What keeps me going in between rounds is the normal every day stuff that I get to do with my friends that I have made over there. I do normal stuff like play MotoGP on my Xbox, go mountain biking, and then my Mom will drive me to other racers houses and we all hang out. What keeps me going at the end of the day is knowing that I get to ride a world class bike with other racers! Q: What is airsoft? It’s listed as one of your hobbies. A: Airsoft is sort of like paintball, but they use small plastic pellets instead of paint as ammo. It is more realistic to actual combat and it doesn’t get paint up your nose when you go shot in the face! Q: Your favorite quote is “Stupid Hurts” by Honda. What are some stupid things that people do when racing or riding? A: “Stupid Hurts” by Honda- it means a lot! When people skip riders meetings and they don’t know what all of the flags mean and then they panic when a flag comes out and they do the wrong thing, it hurts everybody! People get physically hurt, bikes get crashed, other people miss their sessions; this is just one example. Not wearing the right safety gear, thinking “Oh, I don’t need my gloves on this time, it’s just a short ride” and then “WHAM!” down they go. It always seems to happen that way. Q: Why are Nicky Hayden and Josh Herrin your favorite riders? 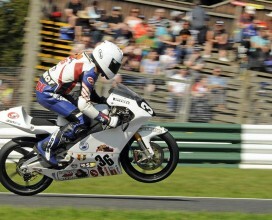 Q: Oulten Park and Cadwell are your favorite tracks in the UK and Miller is your fav in the USA. What do you like about these tracks? A: I like Oulton Park and Cadwell because they are fast and flowing tracks, there is not a break in the adrenaline rush. I also like the long straights, like at Miller, because it gives me a chance to crack open the throttle and see what the bike can really do. It is always fun to let the bike breathe a little. My old mechanic, Ian, told me that when I was really on the gas like that I would feel my bike “expand” like it was breathing, like it had a life of it’s own. Bikes have a life of their own at high speeds and you have to respect them or they will not respect you back! Q: What is your least favorite track and why? A: I would have to say the track that I struggled with the most was Scotland’s Knockhill. It was a shorter circuit and I struggled to find the rhythm of the track. Brands Hatch Indy is also another track that I want to spend more time working on. Q: What is your methodology for learning a new track? Do you have a plan or do you just wing it? A: I always have a plan when I ride! The first thing I do is get a track map and then I do a track walk. Sometimes I walk it with friends, sometimes alone, but I always scope it out. I write down the apexes, all of my notes, and what I think my gearing may be on my track map. If I think that there is a section that may be more tricky, I will take photos with my phone and go back and discuss what I have seen with my manager/mechanic and make a solid game plan from there. Q: What series have you raced? A: I have raced several different series in my racing career so far, including: WERA, AFM, SMUSA, XTRM, Masters of the Mountains, Starrs, M1GP, District 36, and BSB. Q: How did you get involved with racing in the BSB? A: I originally received an invite from an English team after the first round of WERA. After racing 2 rounds with the team we realized that there were some safety issues with the team bike, and we felt it would be in my best interest to race the rest of the season as privateers, right then and there. We raced the remainder of the year under our own flag, Rock and Sons Racing, with Ian Emberton from Leeds as our Chief Mechanic. At the end of the year, we decided that we wanted to run with a larger team, and seeing as Adrian Mason already had a strong program in place we went and asked him what was open. He told us about his Moto 3 and we let it happen from there. Q: This year you will be returning to the United Kingdom to race the second season in the BSB with the Fireplace Warehouse Team. How did you get involved with this team and how excited are you for this season? A: I got involved with the Fireplace Warehouse Racing Team because I liked their program. At the end of the year, my family and I started looking for a team that would allow us run a more competitive Moto 3 bike. I already knew most of the team and I liked how they operated, they were always clean in their pits and their bikes were spotless! I am really excited to get back to the BSB and run with the Firehouse Team. 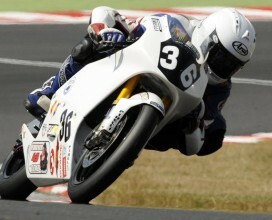 I am good friends with the riders and my Moto 3 looks awesome! Q: What do you think it is going to be like riding as part of a team as opposed to racing as a privateer? A: It is going to be different riding on a team I think. I am not really sure as I have never done it before. I feel like there is a lot of pressure on me to perform, and that is before I even get there! Having teammates will force me to pick up the pace, even if I am unsure of the track, I will naturally want to beat their times, so I think it will help me improve my sector times. Being a privateer is a ton of work! There is never anyone to help tear down the tent or to help set up the pit, so if there are more hands to help set things up, there should be more free time to hang out with the other racers on Thursday night after we are done with everything. Q: How is racing in the UK different than racing in the USA? A: The racing in the BSB is a lot more aggressive than here in the States and the bikes in Europe are faster and tend to have more money put into them. It is common to see a 125 with $30,000 worth of modifications done to it, and that is at an entry level. The 2013 Moto 3 Championship bike last year just sold for $66,000, and that is a bike that is 2 or 3 years old now. The fees are cheaper to race in the UK though. The entire season to race, for all 12 rounds, including all of the paddock passes, 6 passes for the grid, and all of the parking, is just under $4000. That is a great price for 12 rounds of world class racing! Q: What do you like about the Honda NSF 250R Moto 3? How was the transition from the RS125 to the bigger bike? A: I don’t know what it will be like to be on the Moto 3 yet, I will find out in a few weeks when I go do our testing in Spain for 4 days. Based on what I have seen of the bike and by reading the specs, it is going to be a huge step in the right direction for me. It will have better brakes, better suspension, and I am looking forward to the extra torque that only a 4 stroke can give. All around, it is going to be a better bike. 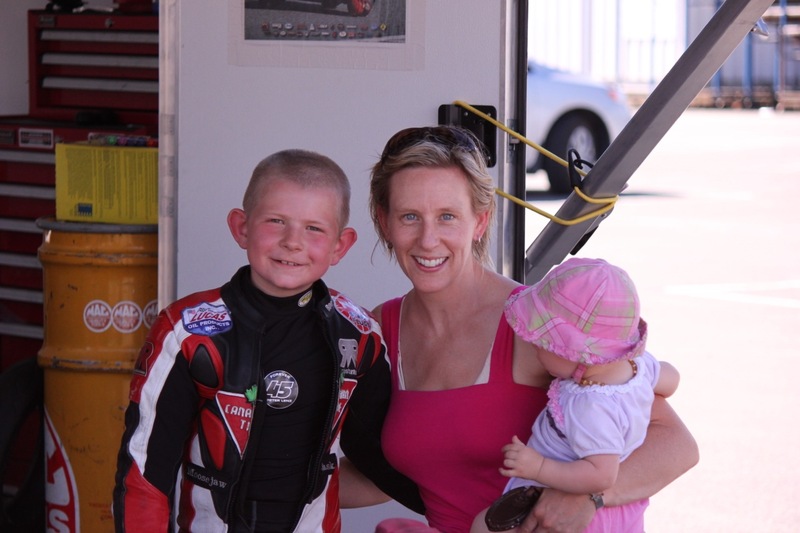 Q: What role does your mom play in your racing career? Your dad? A: Both of my parents support me and work very hard to fund my racing. I am very lucky to have parents like them! They both wrench on the bike as well, but my Dad is my main mechanic. My Mom learned how to fiberglass while we were in the UK to help save us some money and time while were were racing. When we are home in the States, my Mom does most of my fundraising while my Dad works on other racers bikes at night to bring in extra funds to help pay for things like, an extra set of fairings, upgrades, things like that. I help out with whatever I can, which means that I wrench with my Dad a couple of nights a week and I also help my Mom and go to whatever meetings I need to go to for potential sponsorships. Racing bikes is a small part of what it takes to be a champion in today’s world, I have learned that much for sure, but I am thankful for every day! Q: You live in California for part of the year and the UK during the race season, how do you and your family make this work? It must be hard living in two different places? A: It is hard living in two different places. Usually it is just my Mom and I that go over to England at the beginning of the season while my Dad stays back. He comes over to as many races as he can. It is what we have to do to race, so we make the most of it. Q: What is the hardest riding technique for you to master and why? A: The hardest technique to master has been using the rear brake, but once I mastered it, it has saved me many times. I have found that I could brake just a little later than most riders, and that’s all I needed. It’s hard to master the rear brake because it can be hard to tell how much is too much. There is a fine line between slowing down and locking up. It just takes practice and commitment. Q: Do you have any formal training or receive any coaching in your sport? A: I have received a lot of formal instruction! My parents believed that it would be easier to teach me right the first time than to break bad habits later, so they invested in schooling for me right away. At the age of 4, they hired Brian Parriott to come teach me how to ride a dirt bike. Even though I was just beginning, they wanted me to learn how to do it from a pro. From there I went on to take Dirt Bike schools from Scott Davis in Northern California several times, Donnie Hansen Hole Shot classes, Keigwins at the Track Novice and Intermediate Schools, personal instruction days with Ken Hill, and several camps with American Supercamp with Danny Walker and American Roadracing Factory. Finally, I have taken and audited the Yamaha Champions Racing School 6 times with racing legend Scott Russell. As you can see, I have spent a majority of my time in classrooms and on the track in schools! Learn it right and it will pay off! Q: What kinds of things do you do for off track training? A: For personal training I like to do mountain biking, BMX riding around our house, basic fitness training on our equipment at home and wakeboarding. Basically, I just like to stay fit. I do all kinds of things every day, I am not the kind of guy that likes to just sit and watch TV. We have a trampoline in our backyard and I like to bounce and do flips and stuff like that on it. I hike when I can too because we like in a very hilly area with awesome trails. Q: What do your friends say about the fact that you race motorcycles at 14? 26. My friends just support me. It’s cool to know that they do. Q: One word to describe yourself? Q: Anything else you’d like people to know?? A: I’m not fearless. I have many fears, but I use them to push me forward, not hold me back. 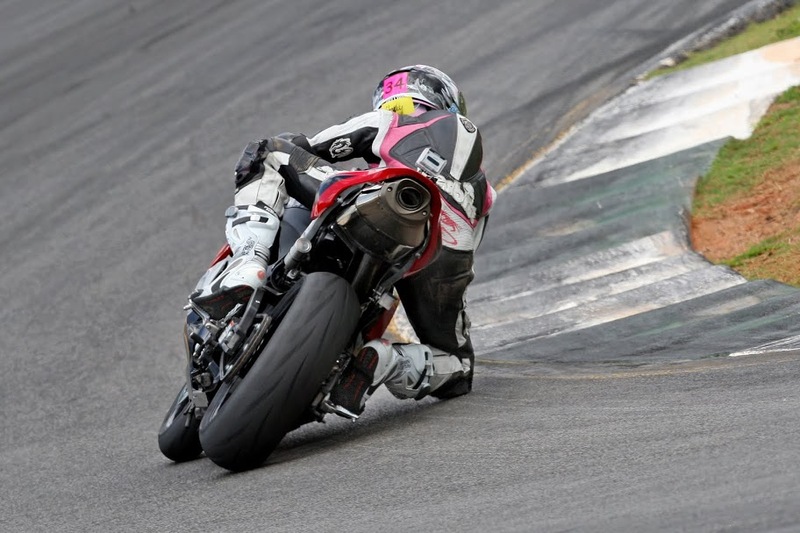 British Superbike, Monster Energy Motorstar | MotoMom <Loved it!